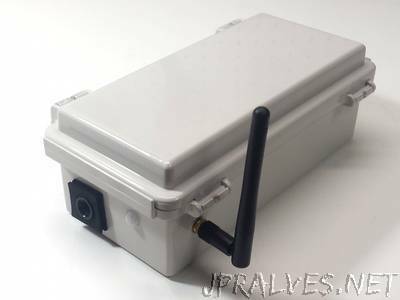 “We have lots of small wildlife around our house (mostly rabbits this year) and since I have a small camera module and a cheap PIR (passive infrared) motion sensor, I thought it would be fun to make a motion triggered wi-fi camera to deploy somewhere near the house. The project is quite simple. If the PIR sensor is triggered, software on an ESP8266 wi-fi microcontroller captures an image using the ArduCAM camera module and uploads it to an image server. I wrote a very simple Node.js server that saves the uploaded images and makes them available on a gallery page for easy viewing. Nothing fancy.